I am always pretty on top of getting a main dish put together for dinner, but when it comes to sides it can be a little more difficult! I have 4 kids, 3 of which are suuuuuper picky eaters. They are usually picky about meats but vegetables can be a bit of a struggle, too! I thought I would add a twist on roasted vegetables with some Italian dressing mix and a little parmesan and my kids loved it! They even had seconds, which is totally a miracle in our household! My favorite thing about this recipe is that I can easily toss everything together and throw it on a baking sheet and it is ready to go! You could also throw all of the ingredients together in a large Ziploc bag, zip it closed and shake it to coat them evenly then spread them on the baking sheet. 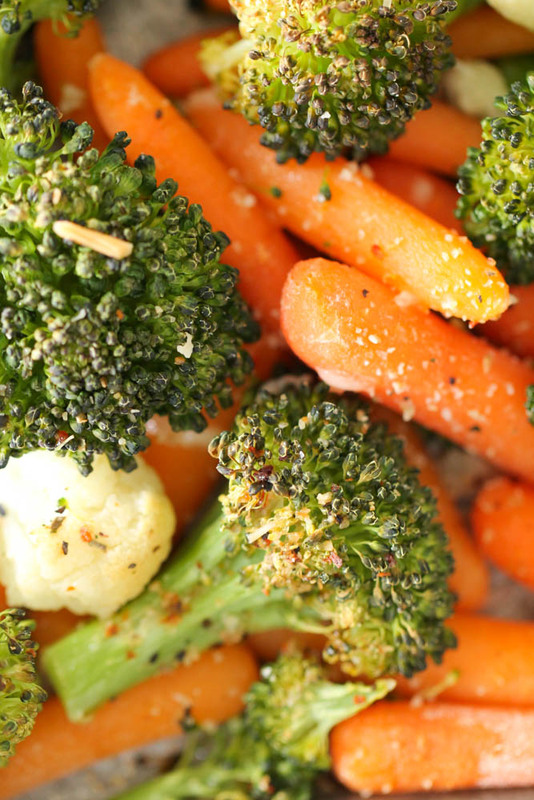 The dry Italian dressing mix makes the perfect seasoning for these vegetables and the parmesan cheese puts them over the top! If you want to make this recipe even easier, you can buy a bag of mixed vegetables in the produce section of your grocery store and follow the recipe as directed! 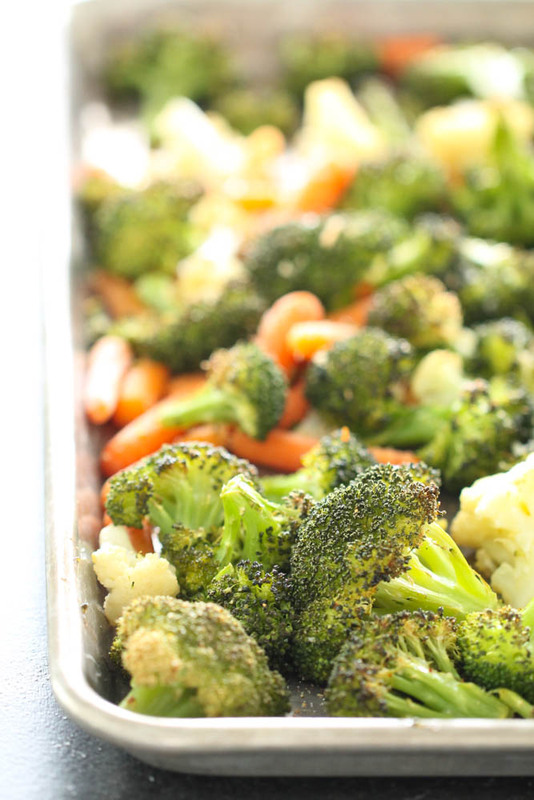 Spread broccoli, cauliflower and carrots on a large baking sheet. Sprinkle on Italian dressing mix and shredded parmesan. 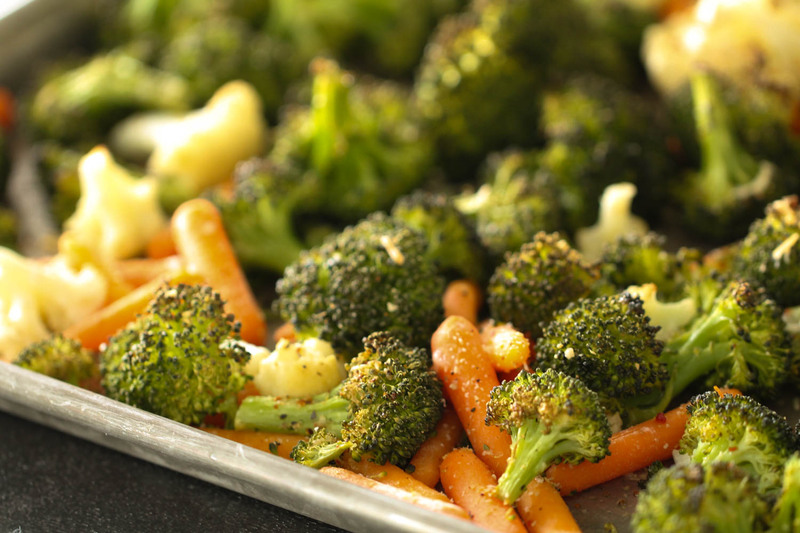 Toss vegetables with hands until evenly coated in oil and seasoning. Bake for 20 minutes, or until vegetables are soft. These roasted vegetables go perfectly with our Cherry Chipotle Glazed Salmon, Bacon Wrapped Cream Cheese Stuffed Chicken, or our Baked Saltine Cracker Chicken!